There will be an increase of $100 per semester for the dorms. The new rate for Hegel and Canyon Hall rates will be $1,900 per semester. The new Prescott Hall, because of its enhanced facilities, will cost $2,100 per semester. The University will require a $200 activities fee per semester from all students toward various campus events and recreation. Summer housing in the apartments is available. Double occupancy is required, but the cost has been cut in half – only $800 for the entire summer. The online housing application process and the housing lottery will begin late next week or the week of April 11. Do I have to pay the activity fee? What kind of discount do students get on tickets for GCU Arena events? Yes, everybody has to pay. It wouldn’t be fair to make exceptions at this point, and it is a non-scholarship fee, meaning it can’t be waived. There definitely will be a discount, however I do not know how much it will be and what the terms are. There is no question that there will be discounted events offered to students though. Discounts will be determined on a case by case basis, dependent on the performers. I don’t go to games, I don’t do the GCU events, I’ve never been in the Rec Center. Why should I pay the activity fee? If you’re not attending events and using the services, you’re not getting the full college experience, so why cheat yourself? More services may be offered in the future, and lifestyles can always change. So just in case you decide that one time to step out of the dorm room, it will be worth your activity fee. Hey, it might even be an incentive to do so. Since students have to pay for their own Internet connection in the apartments, can they contract with a different company? No. It needs to be through Cox, since all of their lines already have been installed. The plan for the $20 fee is just a basic Internet package; students can pay extra and upgrade at any time with Cox. This amount is split among the unit, not per person, so if 2 people are living in a unit, they will only pay $10 if they get the basic package. So when the Internet network has issues, knock on wood, how will students in the apartments get this resolved if GCU is not providing the service? Students will need to go directly to the Cox helpline if they experience any issues. 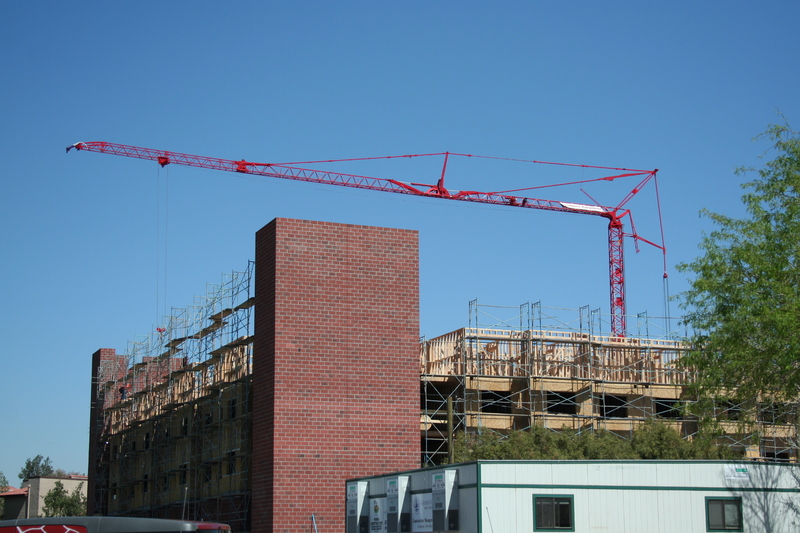 Do current, continuing students get first pick of new dorm facilities? Current residents do. Meaning that once the housing lottery comes around in the first weeks of April, students should secure their spot where they prefer, including Prescott Hall (now under construction). Will freshmen still be required to live on campus? Yes, all rules still apply. Will this affect the cost of other amenities on campus, such as food, parking, tuition and so forth? No, the only change is the $200 activities fee and cost increase for dorm rooms. When will the new Prescott Hall be complete? July 15 is the estimated date. It is expected to be bigger and definitely worth it. Can I appeal to keep my own apartment that I currently reside in? You certainly can appeal to keep your same apartment, if you are staying over the summer. If you are leaving for the summer, as always, you cannot try to keep the same apartment. What are the move-in dates for fall? Aug. 25 for new students. Continuing students are scheduled to move in on Aug. 27. Click here for links detailing the changes in Internet policy, activities fee and housing changes. $200 activities fee? I live an hour from campus, how does this benefit me? I read the question asked above pertaining to the same things. However, I work, take classes, intern, and live an hour away…No way would I ever find time for $200 worth of activities. Does GCU really need more money? And what happened to the price freeze Brian Muller said was in effect? So will online students have to pay? how can you increase prices of room and board if the prices were locked in last year? Will commuters have to pay also? Bryce – Although there was and still is a tuition freeze in place, that freeze does not apply to additional fees. Just like the with Canyon Connect fee that came last year for online students and ground students taking online classes, fees are subject to change on an annual basis. Please also keep in mind that behind the Canyon Connect fee, this is the first major fee introduced since the tuition freeze two years ago. Most schools traditionally raise their tuition and fees an average of 5% – 10% annually. GCU has not raised tuition in two years. Alex – This fee is for ground traditional students only. Online students do not need to pay the fee. John – Again, although tuition was frozen, individual fees were not. Tuition is still frozen for an additional year. Commuters, since they are ground traditional students, will have to pay the fee as they are able to utilize all the same services and attend all the same students as residential students. Look at it this way, with all the awesome additions this campus is undergoing, there is going to be a small price to pay to enjoy them. It’s hard to see it now with some of the inconveniences, but it will be totally worth it in the long run. Have dates been set for all the families that have to move out bldg 7 this summer? Also, how long will we have to stay out of bldg 7? Will these families be moved into apartments equal to the apartments they are in now? What is going to be so good about the new dorms that is worth $200 more than the other dorms?